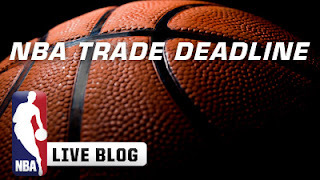 With less than 24 hours to go till in the NBA Trade Deadline lets look into the big headline today and a few rumors. As we know yesterday Milwaukee sent Andrew Bogut and Stephen Jackson to Golden State for Monta Ellis, Ekpe Udoh, and Kwame Brown. That was the first big trade of the deadline, there should be a few more. The big headline today is that Dwight Howard has told Orlando ownership that he will "OPT IN" for next year. Nothing is confirmed in writing, but some anonymous Magic players have said that Superman has only said he would commit to this year. Michael Beasley has been on the block for awhile, rumors have him making his way to La La Land to play for the Lakers. I like the fit there, Kobe and Fisher will make him grow up fast. There is no question the kid can score, super talented. * Bulls and Lakers have discussed Pau Gasol, I don't see this happening. I will be updating through the day on any breaking news, stay tuned.